On the second conference day, July 20, 12:00-13:00, MARSS2016 will offer a moderated plenary Industrial Panel discussion with the members of MARSS Industrial Advisory Board and other industry represent­a­tives attending this year conference. This exchange between industry and research will be beneficial for both sides and definitely one of the highlights of the conference. All MARSS2016 participants are kindly invited to join the Panel and share opinions on a few issues raised by the moderator, related to commercialization of micro/nano technologies, the role of micro/nano robotics and automation at small scales, co-operation between industry and research, etc. 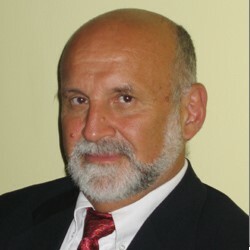 Prof. Kornel F. Ehmann (Northwestern Univ, USA) kindly agreed to moderate the Industrial Panel.